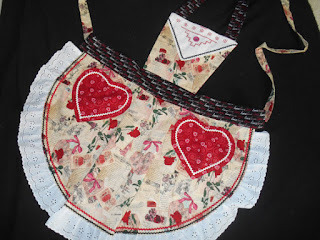 Moving on with the Valentine's Day theme I thought we would look at some ways people upcycle to make Valentines. And to do that let's visit Etsy. Let's start with this neat upcycled heart made from tin roofing that ColorTheWorlArt has. 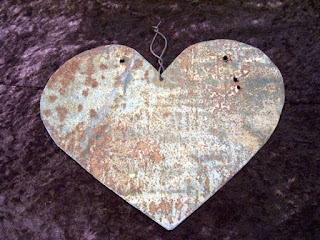 Ok...here is a perfect jewelry gift for your Valentine or a Valentine's Day gift to yourself. 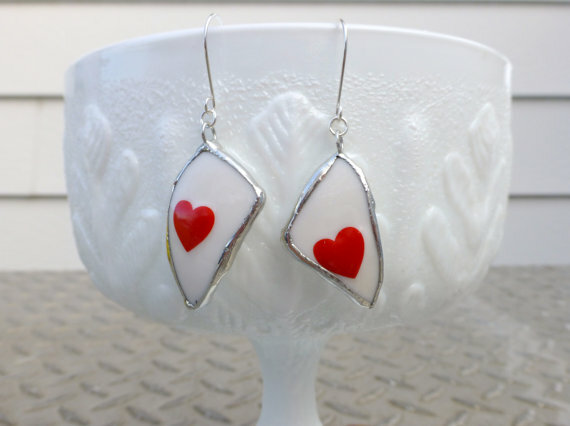 These earring are made from a broken china piggy bank that OutreJewelry made. I think they turned out really nice and it is neat they were made from a piggy bank! 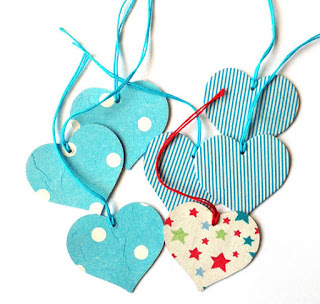 Look at these gift tags from PapelMagico.......they are made from upcycled cereal boxes!! How neat is that! !